London: Longmans, Green and Co, 1891. First Edition. Hardcover. Fair (ex-library)/No Jacket. Color Map. 12mo - over 6¾" - 7¾" tall. Extremely rare, pioneering account of mountaineering and adventures in Alaska ca. 1888-1890, focuses especiually on the 'Alps' in the region of Mount St. Elias. Present is the color map "Coast of Part of South-Eastern Alaska Showing the St. Elias Alps", but lacking the "Southern Slopes of Mount St. Elias". 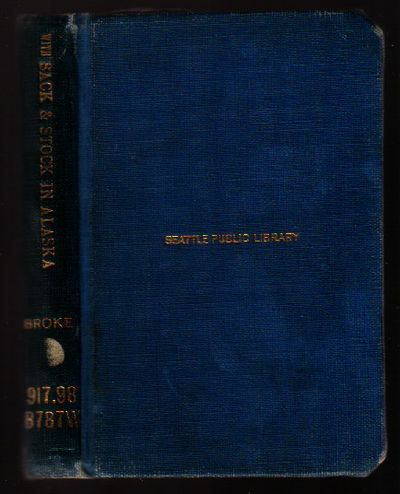 Ex-library copy, rebound in blue library buckram, wear; map repaired; some tears to margins.